Can Nintendo finally win the accolades on 3DS for The Legend of Zelda: Majora's Mask that the game never fully secured on N64? Baz Macdonald takes a look. Even if you owned a Nintendo 64, there is a good chance that you missed Majora’s Mask as I did when it was first released in 2000. It came out in that difficult transitory phase between console generations, and so was missed by many despite the overwhelming success of its predecessor, The Legend of Zelda: The Ocarina of Time. Majora's Mask has been as equally critically lauded as Ocarina of Time and yet isn't considered a cultural artifact in the same way due only, it seems, to the fact that fewer people got the opportunity to play it. For this reason the 3DS remake of Majora's Mask feels a more important moment than just a re-release. It's a second chance for this game to claim its rightful place as one of the best titles in the Zelda series. What's most surprising about this remake is how little really needed to be remade. 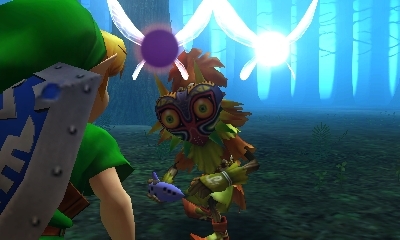 There are very few games that age well, but Majora's Mask has aged superbly. Instead of making it appear tired and dull, the last 15 years have just further revealed how innovative and sublimely envisioned Majora's Mask actually is. If this game were released for the first time in 2015 using modern graphical and audio techniques it could easily be a contender for Game of the Year. Majora's Mask sees series hero Link battling against time itself to prevent the world being destroyed by the moon, which is falling from the sky. In true Legend of Zelda style, Link must explore the world, acquire new items and clear temples with the ultimate goal of stopping Skull Kid and the extraordinarily powerful mask of Majora. The entire game takes place in the three days leading up to the moon colliding with the planet, so Link must manipulate time in order to save the world. 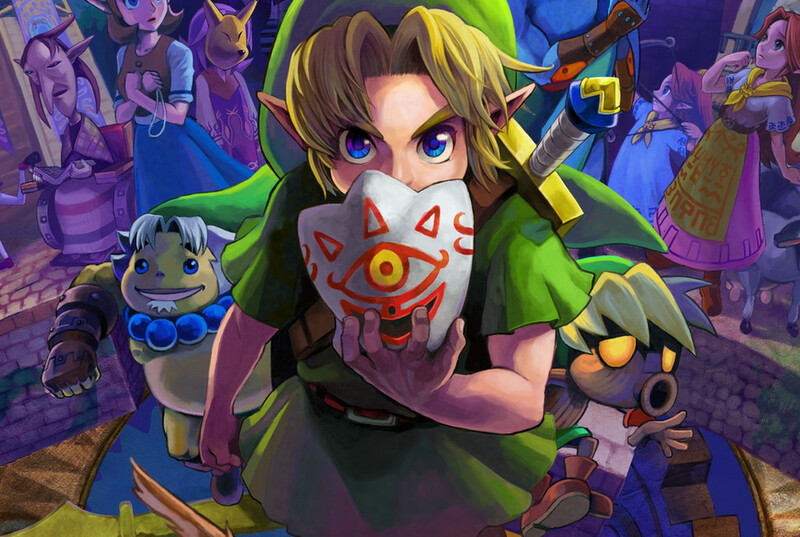 Majora's Mask boasts the best narrative in any Legend of Zelda game. Its success is in part due to the reverent way it pays homage to the story elements we have come to expect and adore from this series, but also how it subverts and manipulates those very elements to create a simultaneously familiar and original experience. 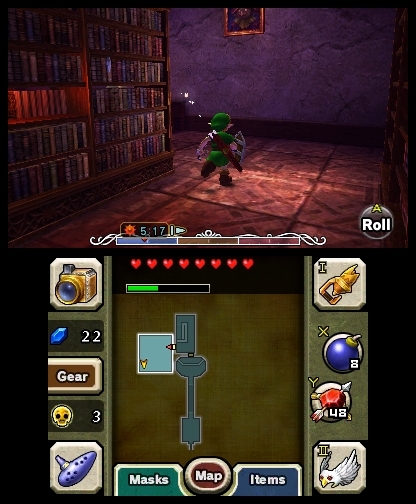 Majora's Mask takes a similar approach to gameplay, providing all of the staples while introducing many new and exciting mechanics, as well as giving new approaches to old elements. The game has the same item focused puzzles and challenges, requiring you to gain certain items and think creatively about their function in order to progress. A new tier of these items is the masks in the game, which not only facilitate new gameplay options, but also change completely Link's physicality and skills as he is transformed into different races, including a bubble-shooting Deku and a barrel-rolling Goron. The most fascinating gameplay development is in how the musical element is utilised. As in Ocarina of Time, the ocarina (and other instruments) plays an important gameplay function allowing Link to rewind time and restart the three day cycle before the moon crashes down. This makes the music an intrinsic progression element, as you think carefully about how much time you have and what can be achieved in your three days before you have to rewind and try again. Objectives are often vague and the methods for achieving them are never clear. This is a common trait in games released prior to 2000 - and one that usually divides opinions. Some of us have grown accustomed to much clearer objective systems and find systems like the one in Majora's Mask to be a frustrating and regressive form of padding. Of course the flip-side of the frustration is the greater sense of achievement in finally figuring out a difficult challenge. Only you can know if this kind of gameplay is for you, or not. The only aspect of Majora's Mask that truly needed extensive reworking was the graphics. 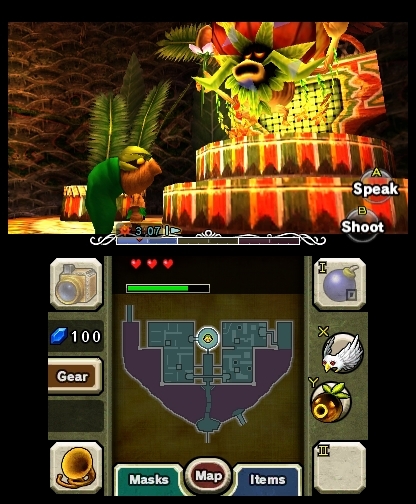 Majora's Mask looks stunning on the 3DS, and takes advantage of the hardware like it has never been before. Nintendo has maintained the game’s unique visual tone and colour palette while effectively pulling the title into this decade. 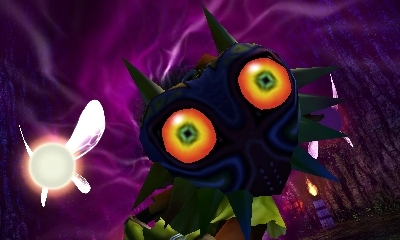 In fact, the dark visual tone of Majora's Mask feels like it has been properly realised for the first time. This 3DS release has revealed the true beauty of the game, maintaining this gloomy aesthetic, while making the game look bolder and more articulated than was previously possible. The game feels right at home on the 3DS. Exploring Majora's expansive world on this tiny device is a sublime experience, and one highly recommended for both new and returning players. Majora’s Mask for 3DS represents the best execution of the game, boasting impressive graphics and extraordinary gameplay depth. Ups A truly exceptional narrative and gameplay experience which combines everything we love about The Legend of Zelda with a litany of new features, all wrapped up in a gorgeous graphical overhaul. Downs Vague objectives and progression methods can be frustrating.